So I finally got an Android device, in the form of the second generation hardware from HTC known as the Magic, G2, Ion and Saphire. Since the original HTC Dream (G1) this phone received a major visual overhaul and now boosts a soft keyboard rather than a physical one making it a loss less clunky. And let me admit right away, I fell in love at once and have hardly put it down since. It is not my intention here to write any kind of throughough or balanced review, but merely to showcase Android and the applications to others contemplating getting one of these phones as well. The phone looks and feels sturdy and quality, thankfully not branded like appears to be the case in the US. The 3.2" touch screen is glass just like the iPhone and the body is thick scratch-proof plastic. It has what amounts to 11 buttons (incl. a joypad) below the screen such as well as volume buttons on the side. Having played with an iPhone a few times, my impression is that the Magic is very reminiscent of this groundbreaking device. I never actually invested in an iPhone as I don't care very much for the handcuffs Apple like to put on its customers - it's a somewhat different story with this phone. Also, to me the Magic feels better in the hand than an iPhone and definately slips easier down into a pocket. The battery is a 1340mAh Litium-Ion, bigger than the one in the G1 and enough to keep the phone powered for the day. It's important to note that it takes a few days for the battery to start charging correctly (to know its state) and it also takes a few days to learn how to use it such as not to drain the battery immediately but this is true of any smartphone. While the hardware is nice, the real kicker is Google's Android operating system. The HTC Magic comes with version 1.5 (Cupcake) as well as some extra software installed into the ROM by my phone carrier that enables Microsoft Exchange integration etc. 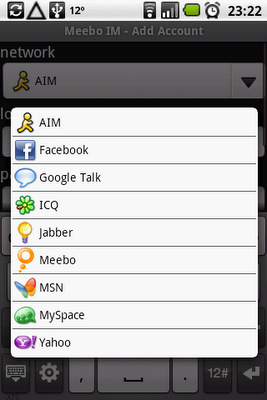 Android can have applications installed from either the Android marked or by directly downloading the .apk file. There's already around 5.000 applications available, and with so many phones coming out and a rapidly growing community I see no reason why Android would stay shy of iPhone's 50.000 applications. 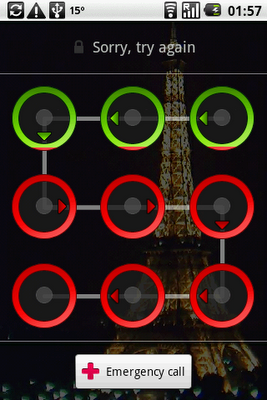 You can opt to lock the device by a custom gesture. This is a very handy feature that beats the traditional approach of having to enter a code. 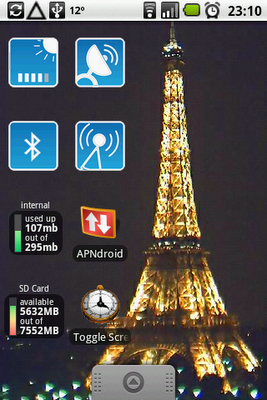 The home screen with widgets and shortcuts on the desktop, live picture of the Eiffel tower as wallpaper. 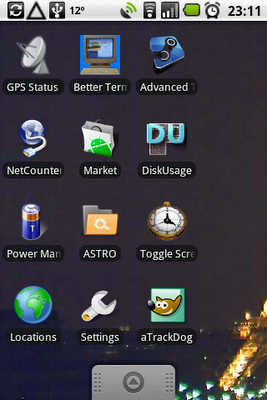 On the left home screen I have primarily system tools. 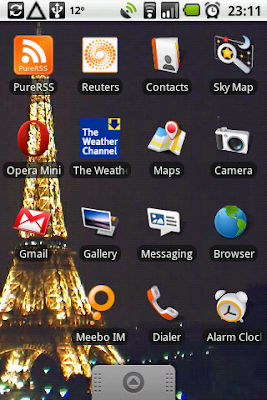 On the right home screen I have frequently used applications. The applications menu pops up when you drag the slider up. The screenshot does not convey this information, but I have around 75 application installed. Long-pressing the home button reveals other recently run applications, unlike the iPhone this device has no trouble multitasking. 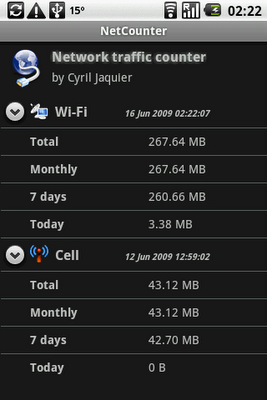 At the top of the screen, the status panel can be expanded as well. 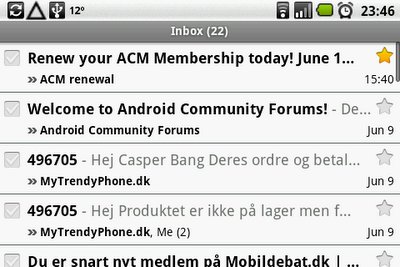 It's here notifications of any kind goes (email, SMS, instant message) and it works remarkable well. 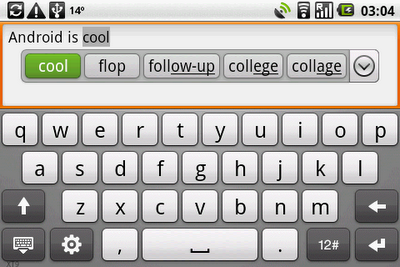 In horizontal mode, the soft keyboard is a joy to use thanks to the dictionary suggestions. 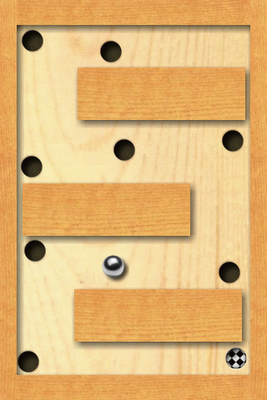 In vertical mode, you really need to be precise and having small fingers is definitely a plus. The build in browser, based on KHTML like Safari and Crome. It does its job to perfection, best mobile browser experience I have tried. The gmail integration is equally impressive. Simple and functional. 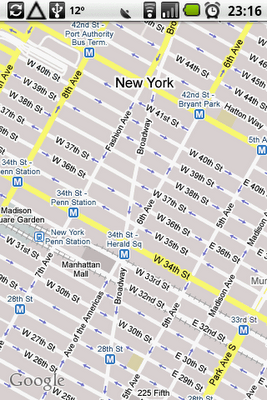 Of course, Google maps is there as well and works with the GPS. 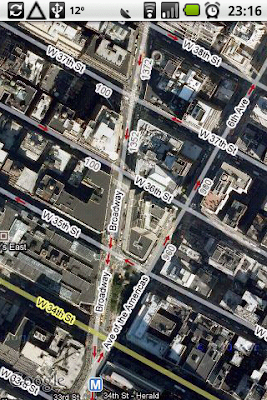 It feels special to be out and about, with satellite pictures looking down at your position. 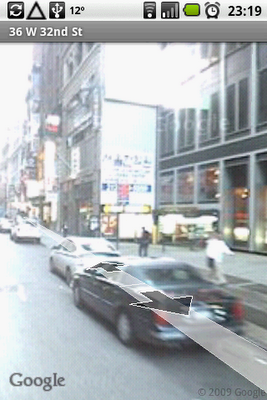 Even street view is integrated. 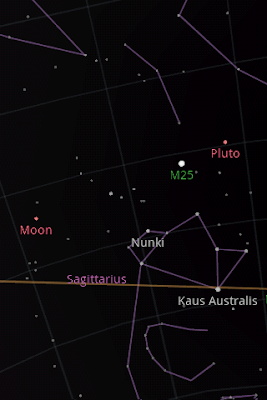 Skymap uses all the sensors of the phone to render an accurate representation of the sky complete with stars, planets etc. depending at where you point the phone. 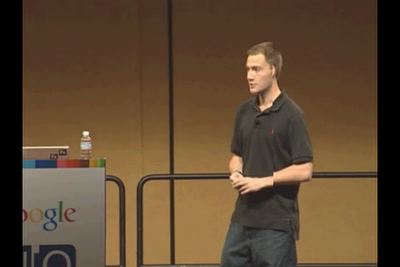 It plays mp4 in very decent quality, here Romain Guy from the Android team. YouTube is available via an integrated application that simply works. 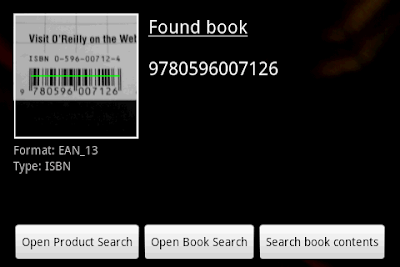 The camera used as a barcode scanner, here a book is scanned. Voila, we have looked up a book and can read reviews and find cheapest stores. 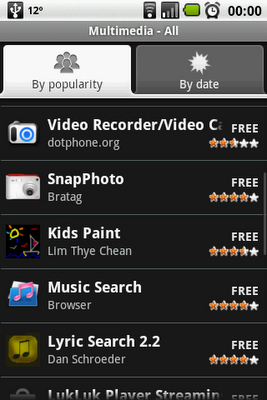 The Android marked is full of stuff, approximately 5.000 apps. but growing daily. 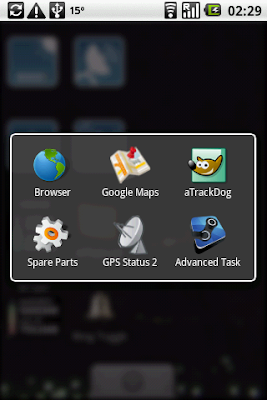 aTrackDog can track all installed applications and tell you when there are new versions and provide an easy way to update. 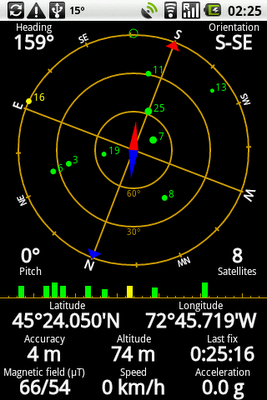 GPSstats is good to determine GPS coverage. 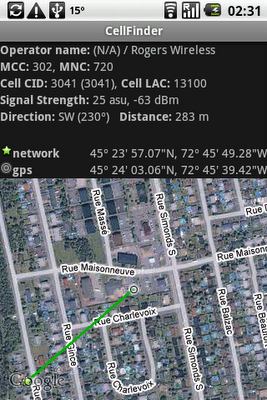 CellTower can be used to triangulate and display cell towers around your neighbourhood. Not really useful, but fun to see in action. 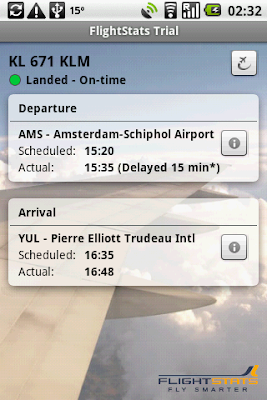 FlightStats was great on a recent trip, always providing me with up-to-date info about delays. There are of course countless games, though they are less interesting to me personally. No matter the IM protocol you rely on, you are sure to be connected. Yes believe it or not, there's even a metal detector. NetCounter is invaluable in monitoring data traffic. It may save you from receiving a nasty bill. 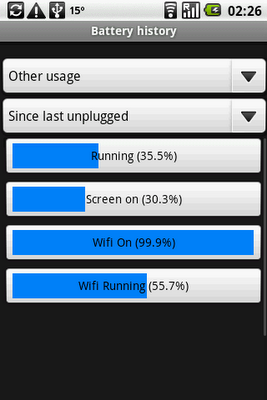 SpareParts provides great system info as well as tweaks. 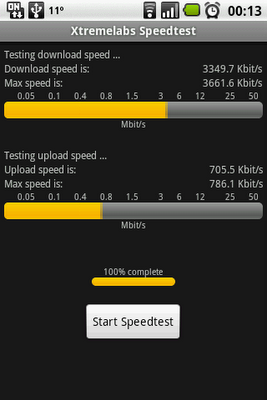 Speedtest is good to debug and determine connection speeds. 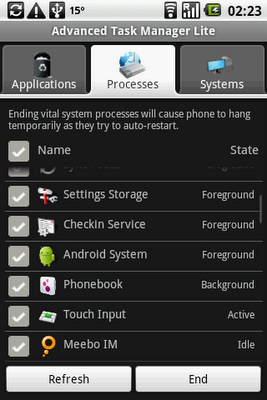 TaskManager lets you monitor and kill applications. 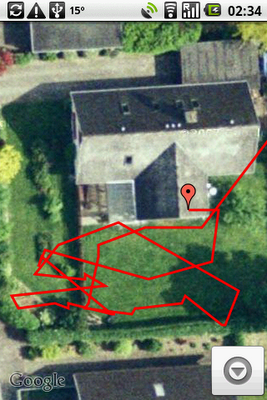 MyTracks tracks you as you move around. 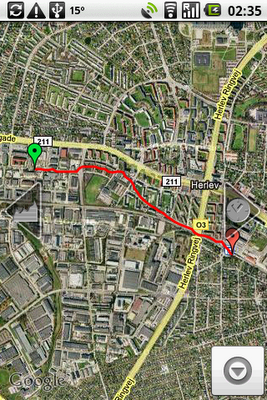 Here is my walking route from the office to the local subway. 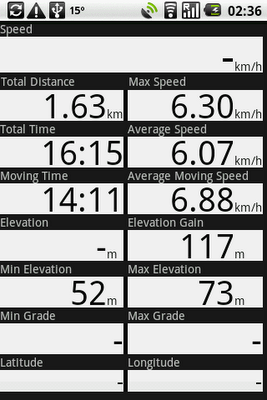 Some metrics from the walk. The beauty of an open platform. 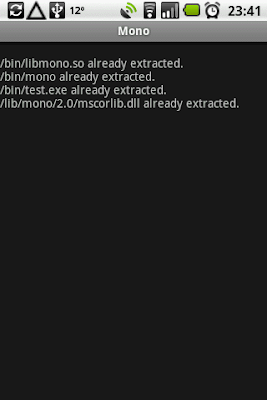 You can run Mono/C# stuff on it. 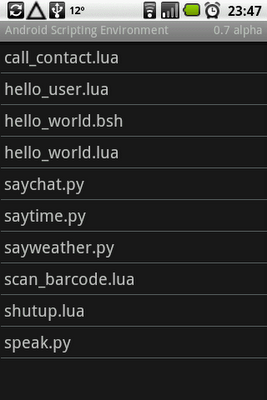 ...as well as Python, BeanShell and Lua. ...and execute shell commands since it's a real Linux underneath. There are only a few thorns on this white rose. It would be nice if HTC would use a standard 2.5mm mini jack instead of the propriatary mini-USB plug although this is easily fixed with a small adaptor. Also, the speakers are not the loudest I've heard from a phone so I would've preferred if they faced the same direction as the screen such as to improve the video experience. 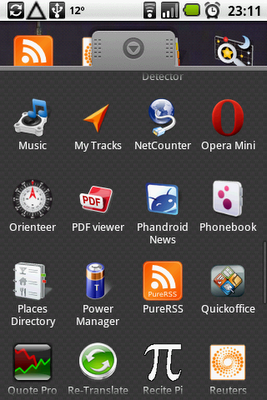 As for Android and the software it's even harder to find flaws. The menu where you see each and every application is perhaps a bit overwhelming, although you quickly get used to it (sorted alphabetically). 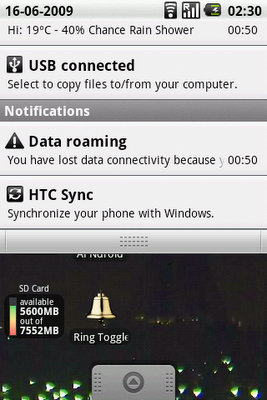 To remedy this, people sometimes install home application extensions such as to allow more than 3 screens. This is something Google can easily adjust through the Android updates coming. The real beauty of this device is how open it is. For instance, Android itself has not been ported to other languages than english yet, but that has not stopped people from developing localized soft keyboards that matches a particular locale (in my case Danish). Even if the phone is 200-300$ cheaper than an iPhone, it has more potential and longevity that I think only Apple fanboys will miss the slightly better polish put on by Apple. I'm already looking forward to the next upgrade to Donut in a few months, as well as Eclair by the end of the year and I'm eager to start developing on it myself. Thanks a lot for the review Casper, I have been curious about this phone. 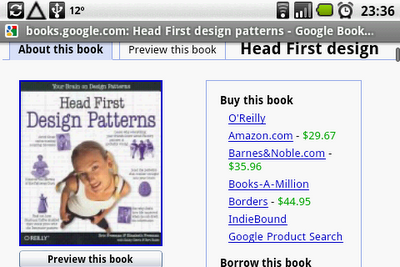 Looks good, will seriously consider getting it! How much did the phone cost you? @Moandji: The phone cost about $300 here in Denmark, with a $50 data subscription over 6 months. The battery life is sufficient, charge it every 1-2 days. This is my first smartphone, took me a while to realize it won't keep charge for a week like my old dumbphones. I'm pretty jealous when I see that in Germany you can get the Magic for 1 euro & 45 per month, or you contract. @Moandji: Yeah that does sound expensive. Here in Scandinavia we have a pretty open marked, exclusive operators are rare (I can purchase my Magic from 3 different operators) and the max. contract length is 6 months. In the US, exclusive deals are common (AT&T for the iPhone) and contract lengths are typically 3 years! It sounds like you are caught somewhere in between. I've talked to people who bought the Magic on ebay from Germany, for around 400 euro unlocked. That's not too bad. Perhaps that's your alternative? Or wait until Belgian law changes (which should happen soon, as the EU has deemed it wrong) to allow contracts to subsidise handsets. Maybe the Pre will have arrived by then :). @Moandji: Yeah, sadly the EU won't help much on a global scale. I'm currently in north america where roaming data costs me 20$/MB. As to the Pre, it looks good. 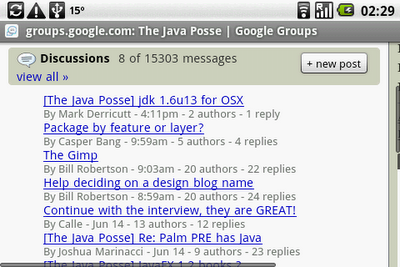 Personally though, the fact that it's not Android based makes it uninteresting to me as a developer. On the dev side, I'm hesitating between Android and WebOS because I find HTML and JS much easier and more natural for UIs than Swing or GWT-style coding. 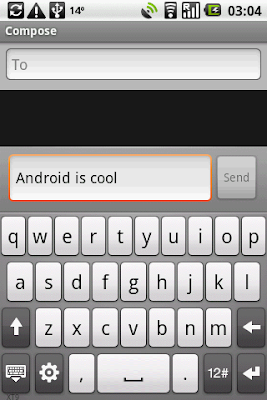 That said, I haven't actually tried Android yet, so maybe the programming model is better? @Moandji: In Android you actually have a choice between classic Java UI building (Swing, Wicket and GWT) and layout XML files. 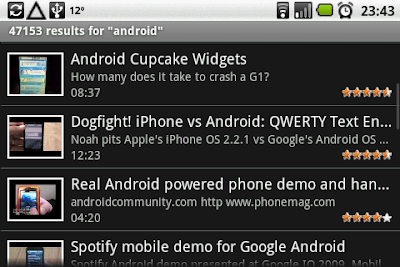 I'm JUST starting to scratch the surface of Android development, and what I have seen so far is impressive. 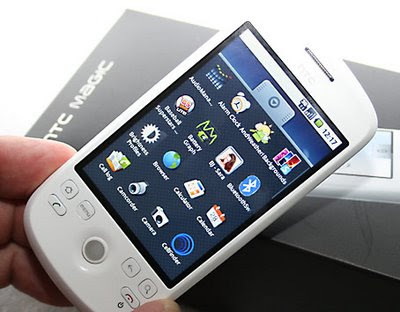 My latest blog entry is about a HTC Magic skin for the Android emulator. And it's this kind of openness that just seems hard to beat.